We are presently in the world of IPhone and Android smart devices. We hear different stories from every corner of the world daily. Some will say “IPhone is better than Android” while others will say “Android is better than IPhone” the truth is we cannot really say but IPhone and Android do what they do best. 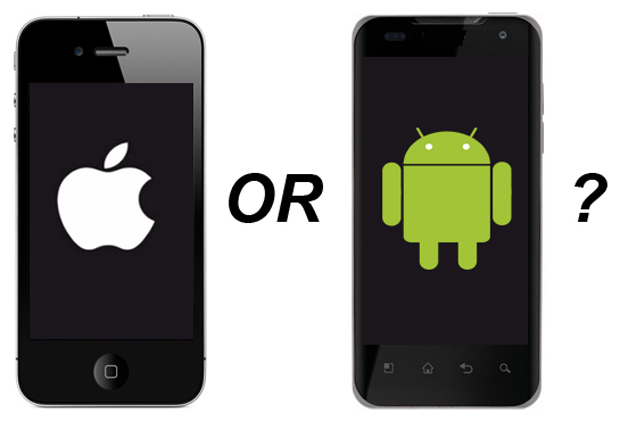 In this post, we will professionally analyze/state the drawbacks of buying both Android and IPhone. Minimal control over device manipulation: As individuals, in our day to day activities we always desire to be in charge of everything we do. Android enables us to have over 90 % control of our device whereas the reverse is the case when it comes to IPhone. No Customization, Widget, Skin power: like Guardians, Apple thinks they can always decide what they think is best for us, thus leading them to do what they think is right from their point of view. Such is the case in their UI that they gave us almost zero manipulation power whereas Android gave their users more than enough manipulation power. You are limited to few widget selection choice on IPhone but on Android, you can select from tons of widget, do numerous tweaking. Enjoyment Comes At High Price: The fact is IPhone is not for everybody due to high maintenance cost. Getting the apps you truly desire on the Apple play is a very rare thing. If you don’t really have cash it will be advisable to stick with Android because with google play store you can get millions of applications for free. Lack of Cross-Platform Support: Apple IOS is kind of strict and a harsh when it comes to other platforms and requires app developers of other companies to go through a tough submission process. In comparison, Android makes it very easy for different companies (Windows Os, Linux app etc.) and individuals to get their app on Android play store. File Transfer Limitation: This is one of the major drawbacks of IPhone for someone that has made use of Android in the past because all the File Transfer privileges you enjoyed on Android isn’t available on IPhone. Sharing of files, data between loved ones are meant to be a very simple thing but IPhone decided to make it a big deal. File transfer via laptop is only possible by making use of iTunes. The major blow to the face is “No Bluetooth Sharing”. Storage Capacity Problem: On Android Increasing the memory capacity that was built with the device is quite easy due to it having memory card slot whereas you can’t make use of additional memory on IPhone due to it not possessing a memory card slot. Another challenge is IPhone devices with higher capacity are damn expensive.